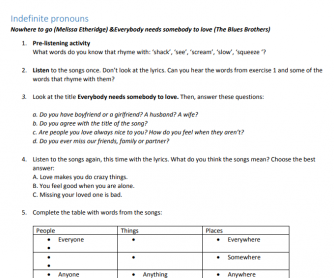 While listening to two American songs, students will get familiar with compounds of every, some, any and no (indefinite pronouns). 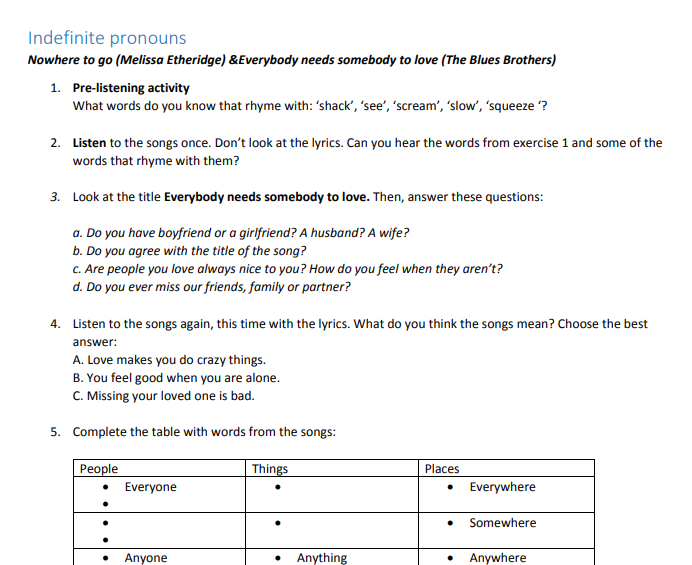 This worksheet includes listening and speaking tasks as well as some grammar notes and practice. You wii easily find the songs and lyrics on your favourite search engine.